1/4 x 2 1/4 x 2 1/4 in. "I'M A SUPERBRAIN VIDEO COMPUTER USER ARE YOU?" 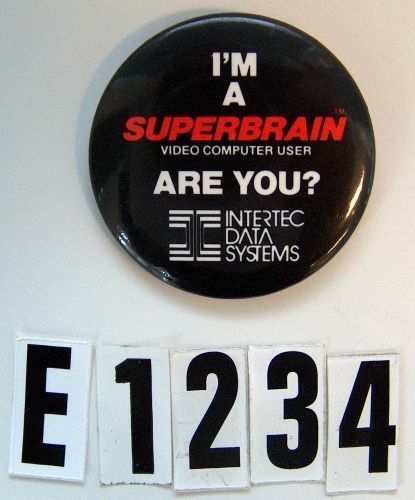 and "INTERTEC DATA SYSTEMS" logo are printed on front of the button.